A review of Wild by Design: Strategies for Creating Life-Enhancing Landscapes, by Margie Ruddick. 2016. ISBN: 9781610915991. Island Press, Washington, DC. 264 pages. Buy the book. 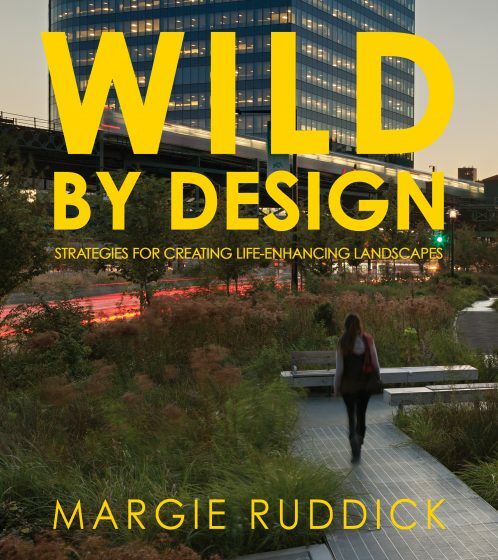 This book, Wild by Design, is written from the perspective of a landscape architect, Margie Ruddick, who designs cityscapes and individual lots in such a way as to integrate ecology and to reconnect people with their natural heritage. While Ruddick’s book encourages authentic progress, implying that highly maintained “nature” is a move towards sustainability is problematic. Full disclosure: I am an urban wildlife ecologist and my review is colored by this. 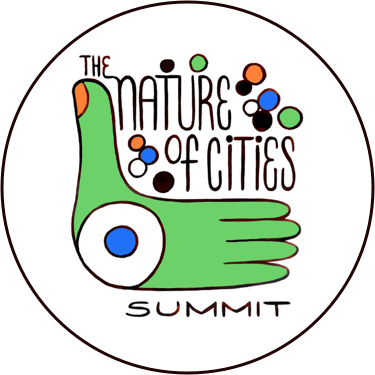 Working in urban areas for over 20 years now with the intent of conserving natural resources, I know the importance of informing and engaging decision-makers in the ways they can incorporate ecological principles into city design and management. For example, yards, cumulatively, can have a huge impact on natural resources (e.g., water, energy, and biodiversity). Without homeowners changing their ways, cities remain unsustainable. I have tried and been involved with similar projects that Margie Ruddick discusses throughout the book. One of the goals for this book was to convey five design principles that help to create more sustainable landscapes. While I applaud Ruddick’s intent, I will comment on the functionality of the examples and fundamental design principles that address the nexus between art and ecology. Ruddick begins to make the case that creating spaces that are sustainable requires having a cultural component to “…make a landscape that people will internalize, make their own.” While I agree that people need to know what the place was designed to do, I am not sure artful design alone will engage them. I agree, cultural norms do affect whether a community accepts a non-conventional yard. For example, a native woodlands yard, with little lawn, may sequester carbon, provide wildlife habitat, help with water quality, and more, but these qualities don’t mean it will be accepted by the neighbors. My attempts to let my own yard go has, at times, prompted comments from my neighbors, and they were not of the encouraging kind! In addressing a more ecological landscape, Ruddick says that design took a back seatin the 1990s and the ecological approach had become a more prominent “nondesign approach.” I was a bit taken aback by this, as I have rarely seen an “ecological” approach in urban-based designs, particularly residential neighborhoods. Anyway, I would argue that having areas with “no design” is actually a design choice. The author goes on to state that for a wild look, you need to walk a thin line between chaos and order. The first chapter delves into her discovery of walking this line when doing her own yard. I read with interest because, as I mentioned above, I have done a similar thing to my own yard. Notably, her use of the word “invasive” in this chapter means plants that spread rapidly and mess up the yard design. This is different from what ecologists consider as “invasive.” As ecologists, we think of “invasive” exotic plants as those plants that are not native and that spread into natural areas, disrupting natural ecosystems. For example, in certain states, the Norway Maple (Acer platanoides, which is in the author’s yard) is listed as an invasive exotic and a threat to natural ecosystems; it should not be planted (USDA Noxious Weed List). I do love that the author highlights that there is less lawn and more structure in her design for her yard. But from her photos, I did see a lot of “showy” exotic flowers. It seemed like much of her yard had exotic plants, which is not good habitat either for insects or for birds. She did leave “snags” in her yard (these dead trees provide habitat for birds and insects, particularly woodpeckers) and talked about wildlife habitat. Ruddick seems very interested in creating an unconventional yard. Her writings about her yard and her experiences with neighbors and the local weed judge were engaging. The rest of the book discusses a design process that incorporates fundamental principles. Her design process was broken down into five parts: Reinvention, Restoration, Conservation, Regeneration, and Expression. Below, I give my impressions of each section. Reinvention: The idea here is to think outside the box. As a case study, the author offers up a reinvention of Queens Plaza in Long Island City. First, this project is really a hardscape reinvention and more about people, cars, and noise abatement. The images were beautiful and the landscape plan combined some vegetation with re-designed bike trails and automobile roads. I especially liked the vegetative catchments, designed to capture stormwater. However, the interventions could have gone further. For example, the large concrete curbs could have had cut outs to allow stormwater to infiltrate, a first step in transforming these areas into raingardens. Instead, I assume the vegetation had to be irrigated. Restoration: I never knew that restoration is considered by some landscape architects as “ … what people with no imagination did.” In my experience as an ecologist, “restoration” refers to a very complex process that requires lots of imagination, historical knowledge, and creativity. I do like, though, that the author mentions the importance of restoring ecological processes in the landscape. However, a concern I have is with some of the definitions the author uses. It was unclear to me whether Ruddick knows the difference between exotics and exotic invasives. She writes, “They [other researchers] argue that plants formerly called ‘invasive exotics’ may not prevent the local ecosystem from functioning. 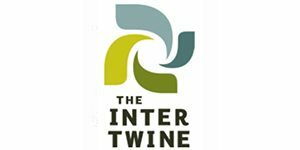 If the food web is functioning so that most species can be sustained, then a plant that is exotic may not be so bad.” Exotic plants that did not historically occur in the area can be solely exotic, without having the additional characteristic of being invasive (i.e., impacting local ecosystems by spreading throughout natural areas). I sense confusion here, as I often do on this subject with some landscape architects—an exotic plant is only an exotic plant, and could theoretically be planted in an area without substantial impacts to surrounding ecosystems. I also get the impression that the author thinks of an invasive as a plants that escapes its landscaped area and goes into other areas of the landscaped area (which is NOT how ecologists think). Elsewhere, Ruddick talks about using invasive exotics to remove pollutants in contaminated areas. “But where a system has been messed up, and you need to bring in the big guns that can pull contaminates out of the water or soil, invasive species are the star of the show.” Here, the author is thinking at a bigger scale about invasive exotics and that they should be contained. However, I would caution that these invasive exotics, by their very nature, escape and spread. Often, native alternatives exist and could be explored. Ruddick provides several wonderful examples (especially Living Water Park in China) that involve local communities in the described projects and draw from their experiences. I do agree with the author’s sentiment that designs need to incorporate local people’s wants and ideas. Conservation: As ecologists, we stress that conservation is the most important step when trying to conserve biodiversity. It is much easier to conserve than to restore (imagine trying to grow a 70 ft.-tall tree!). I like that the author emphasizes this. It takes a huge amount of effort and time to restore a piece of land, but conservation is relatively cheap and, if done correctly, can really make or break a project in terms of sustaining natural resources. As the author suggests, ecologists should be involved in design processes to make this happen. The chapter discusses many ecological principles. However, the case example that Ruddick gives is of a home landscaping project that was not a conservation example at all. Rather, the project was about conserving desert landscaping in “principle”—even though no native plants were there to begin with. It felt a bit out of place. In another case study concerning a resort landscape plan that was going to be compact (for economic reasons), the author argues about constructing over a larger area to take “ … advantage of the diverse landscapes and to ensure that being out in the landscape would be an integral part of one’s stay.” As an ecologist, to conserve the “wild,” we often recommend that a development should be more compact, not less. This minimizes impacts; spreading the development out typically causes more harm to ecosystems. While I do appreciate the notion that people visiting a compact resort may be exposed to fewer ecosystems, a dispersed design may come at the cost of destroying these ecosystems. If a design truly were meant to conserve natural resources, then, in most cases, I would recommend that it be compact. Regeneration: The central idea here is that one is setting in motion a set of processes that will restore something that is lost. I agree with this sentiment, as one needs to understand that landscape change, even in an area as small as a city lot, happens over a long period. And I like that the author talks about using local knowledge and establishing partnerships with local people. However, I did not see this as separate from the Restoration section and was confused about why the author chose to separate the two. One neat example in this chapter came from Liberty State Park, Jersey City, NJ. They designed bird blinds that became living walls. I thought this was a fantastic way to combine bird watching with creating habitat. Expression: This chapter was the most informative to myself as an ecologist, because I am very interested in what makes landscape architects “tick.” While I play lip service to aesthetics in my own work, I read this chapter with deep interest. According to the author, landscape architects’ motivations revolve around the desire to employ creative powers that express beauty or touch emotions. The goal is to create beautiful places, and the author noted that most people came to the landscape profession through art (Is that true in others’ opinions? I did not see a reference for the notion). But, is beauty not in the eye of the beholder? I mean, an ecologist’s definition of beauty in a landscape could be quite different than a non-ecologist. The examples the author gives in this section are a mix of formal and wilder gardens, but they tended to have symmetries, straight lines, and manicured vegetation. To me, as an ecologist, beauty looks more like “controlled chaos,” where patches of chaotic, native vegetation are mixed in with a few exotics and mowed or trim edges. However, in my view, the controlled areas should be a minimal part of the landscape. Overall, this chapter tended to cover formal gardens and designs that occur inside built areas. It emphasized plant sculptures and building shapes that resembled “wild critters” but, in itself, it was not about conserving natural resources as much as it was about representing the wildness around us. Again, I noticed that some of the example gardens used invasive plants, such as Snake Plant (Sansevieria hyacinthoides), in a Florida landscape, which gave me pause about how much impact these areas would have on surrounding natural landscapes. Reading this book was informative for an ecologist that works in urban areas. It helped me understand more about how landscape architects think and the possible synergies among humans, wildlife, and art/creativity. The whole book is full of great illustrations, photos, and case examples. The author’s overarching message may be that people feel deeply connected to wild landscapes, and that a design should reflect this. However, I came away concerned that people would read this book as truly incorporating ecological principles into city landscapes. In my opinion, green development is a continuum of doing nothing to doing the whole thing. Almost all efforts are somewhere in between. This book moves the needle towards a more sustainable, wild, and natural way. But it did not go far enough and had some examples that could actually cause more harm than good. My other worry is that design is not enough; long-term management is critical. This book offers little thought or concern for what happens over the long term. For example, those critical habitat patches in the middle of a subdivision could be compromised by what is put in each of the built lots nearby. If invasive exotic plants in yards were not managed through removal, they would escape and spread into nearby wildlife habitat. Ruddick ends her book by talking about promoting stewardship, and I agree that we need more environmental stewards. My concern is that the designs offered up in her book may demonstrate or reinforce the opinion that highly maintained “nature” is Nature, when it could more accurately be described as highly maintained art. It is easy to be somewhat critical of different projects using hindsight. However, the devil is in the details and while Ruddick’s book encourages authentic progress in some areas, several of its shortcomings—e.g., not fully addressing ecological concerns—still give me pause. The recommendations and designs contained are not truly “wild.” I hope that as we move down a path of sustainable landscaping, people will appreciate and see the beauty in the “ordered chaos” that is Nature. Click on the image to buy the book at Amazon. Some of the proceeds return to TNOC. Hello Cathel: I think there is a need to truly engage with people that utilize ecologically designed landscapes. This means interpretive signage that explicitly interprets the “functionality” of the alternative landscaping that they are seeing (e.g., very little lawn with chaotic shrubs and plants). This whole cues to care thing is based on ones experience and knowledge. I believe “messy” landscapes could be regarded as acceptable if people truly understood the purpose (see https://www.thenatureofcities.com/2015/06/14/how-can-we-engage-residents-to-conserve-urban-biodiversity-talk-to-them/). 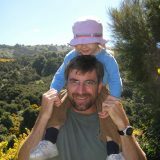 Also – Ecologists and landscape architects need to try to think about how to involve “long-term” management in a design. For example, how much will it cost ($$) to mow and trim shrubs? I would think there needs to be real dollars that are set aside to “manage” a design over the long term (e.g., park fees, homeowner association fees, etc.). There is no easy answer but long-term management should be mentioned at the very beginning of the design. Thanks for this informative review Mark. What do you think are the key pathways for enshrining longer term thinking in design and management of urban ecology?